Animating female characters is “really, really difficult” because you have to “keep them pretty” while they go through “a range of emotions”? “Historically speaking, animating female characters are really, really difficult, ’cause they have to go through these range of emotions, but they’re very, very—you have to keep them pretty and they’re very sensitive to—you can get them off a model very quickly. So, having a film with two hero female characters was really tough. No wonder people are linking this statement with a GIF comparing Anna and Elsa of Frozen, and the main character in Tangled. Also, Disney fans have already noticed a lot of differences between Frozen and its fairytale inspiration, Hans Christian Andersen’s Snow Queen. The question is: Is the apparent “difficulty” of animating female characters to blame? On its own, a minor gaffe from a Disney animator should not be a big deal. But in the context of an ongoing debate about Disney’s representation of female characters and people of color, it doesn’t look great. The Disney Princess franchise is so closely linked with old-fashioned femininity that Brave’s Merida was given a girlie makeover before she could “join” the rest of the princesses. 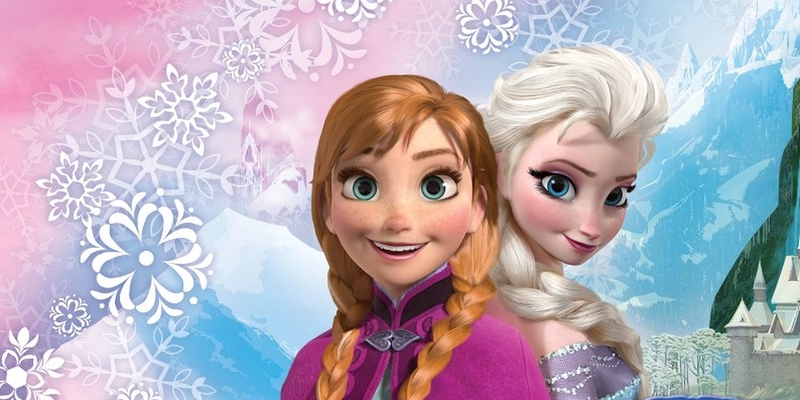 Meanwhile, Frozen has already come under fire for being Disney’s third major animated movie in a row to feature an all-white cast, following Tangled in 2010 and Brave in 2012. Disgruntled fans have been drawing their own multi-ethnic interpretations of Frozen characters ever since the first character designs were revealed earlier this year. “Historically speaking the wimmin folk gotta look pretty when they’s emoting their emotions” sure, okay dude. Your co-director is a woman. I dunno, I’ve been drawing women emoting on comic pages for 14 years & I’ve never worried abt them looking pretty. I want ’em to look human. In the eyes of Disney, there’s a Princess for Black little girls to look up to, a Princess for Native little girls to look up to, a Princess for Arab little girls to look up to, a Princess for Asian little girls to look up to, and nine princesses for all little girls to look up to. It’s no coincidence that in almost all promotional art featuring the “Princess Lineup,” Jasmine, Tiana, Mulan, and Pocahontas are all standing in the back, usually obscured by other white Princesses’ dresses, while the blonde lady brigade stands in the front. So continues a seemingly endless cycle of arguments among Disney fans on Tumblr and other social media sites. Is it authentic for Western European fairytales to focus entirely on white characters? And if so, does historical authenticity even matter when you’re marketing the movie to a diverse, 21st-century audience of kids who live in a multiracial environment? Particularly if the movie includes decidedly un-historical details like talking animals or magic. But as Tumblr blogs like Racebending and medievalpoc point out, there’s no factual basis for excluding people of color from historical narratives. In the case of Frozen’s Scandinavian setting, the Sami people were already indigenous to Sweden, Norway, Russia and Finland. To make matters worse, Racebending recently revealed that Frozen will feature aspects of Sami music along with Sami-inspired costumes, but with no acknowledgement of the original culture. Frozen won’t be out for another month, and to be brutally honest, the criticism of a few thousand adult Disney fans is unlikely to make much of a dent in the movie’s with its target audience of young kids. However, the viral spread of a reasonably banal interview with a Disney animator should tell us something. Media representation is a touchy subject, and right now, Disney isn’t handling it at all well.